Dublin gets most of the attention when discussing literary spots in Ireland, but there are also plenty of awesome libraries, bookstores, and museums outside its city walls. After all, Ireland is a country whose greatest national treasure is a book! There’s no shortage of places to see all around the island for fans of the written word. Here are just a few of my personal favorites. Photo by Brett Griffin. Used with permission. History is so thick on the ground in Cashel that you can practically feel yourself sinking into it up to your ankles as you walk around. The city is famous for the Rock of Cashel, but there’s so much more to see! Of particular note, there’s the Bolton Library, which contains some truly priceless and awe-inspiring rare books. The collection includes one of the smallest books in the world, Gospels from the first century written on papyri, the only complete first edition of Don Quixote, John Smith’s memoirs–you know, of Pocahontas fame–with that one map of New England that’s in every history book ever (fun historical fact: the term New England was actually coined on this map); and an early version of what we would call a travelogue, which just happens to be illustrated by an obscure artist you might have heard of named Albrecht Dürer. 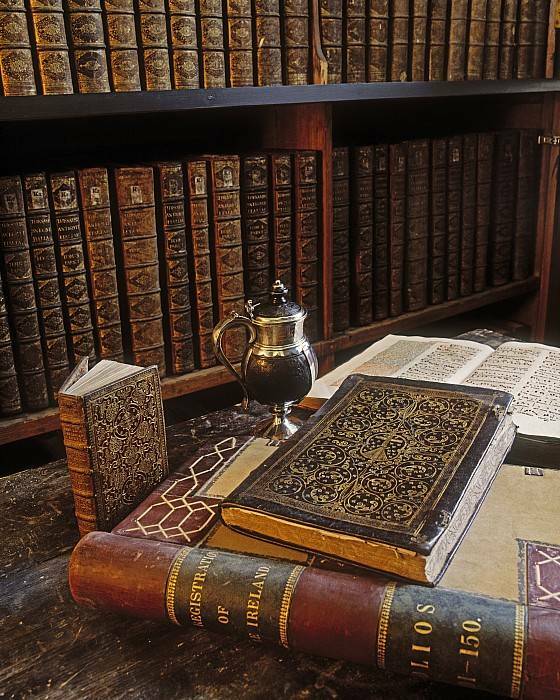 There are also rare and one-of-a-kind works by Jonathan Swift, Dante Alighieri, Machiavelli, and Geoffrey Chaucer. The second floor of the Bolton Library is modeled after Trinity College’s Long Room and houses the largest collection of rare books outside of Dublin. The library also contains objects of curiosity and historical interest, like a spyglass used to illuminate tiny books (with the tiny book and brush still waiting for the illustrator’s return), and a Sheela-na-Gig, a Romanesque fertility figure. But my favorite part of the Bolton Library is the atmosphere: housed in the Cathedral Church of St. John the Baptist’s old Chapter House, it’s surrounded by Templar gravestones and the city’s original 14th-century walls, and the second story has a picturesque view of the Rock of Cashel. It’s the perfect place to settle in and read. My favorite library in Ireland by far. Charlie Byrne’s Bookshop is like the Irish version of Powell’s Books. In other words, it’s pretty awesome. Offering a mix of used and new books, this store is much larger than its modest blue storefront would lead you to believe (bigger on the inside! It’s the TARDIS of bookstores! ), and there are books on every topic you could ever possibly think of. There’s an entire shelf devoted just to Penguin Classic editions, a whole room for Irish writers and poets, plenty of vintage paperbacks, and rare books sharing a room with shiny new releases. You can easily spend hours here looking at books! Plus the prices are quite reasonable: I bought three books and it all totaled 12 euro. Charlie Byrne’s has been called Ireland’s favorite bookstore, and I’d have to agree. I mean, just look at it. Just one of the many rooms inside Charlie Byrne’s. 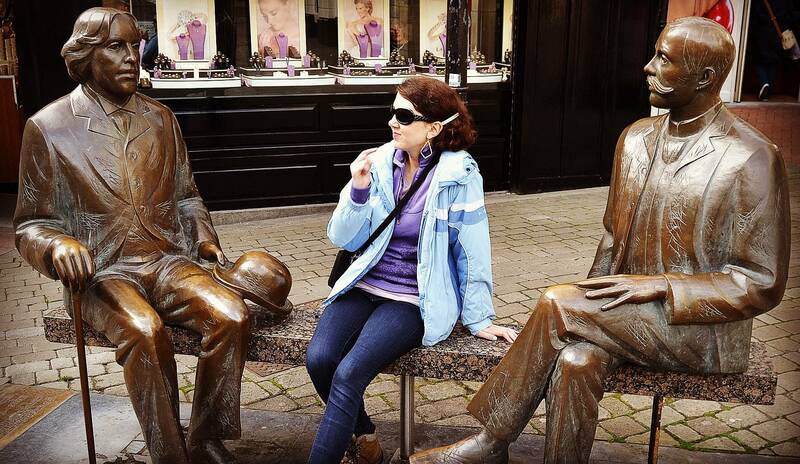 And hey, while you’re in Galway, why not snap a pic of yourself sitting next to the statues of Oscar Wilde and Eduard Vilde? 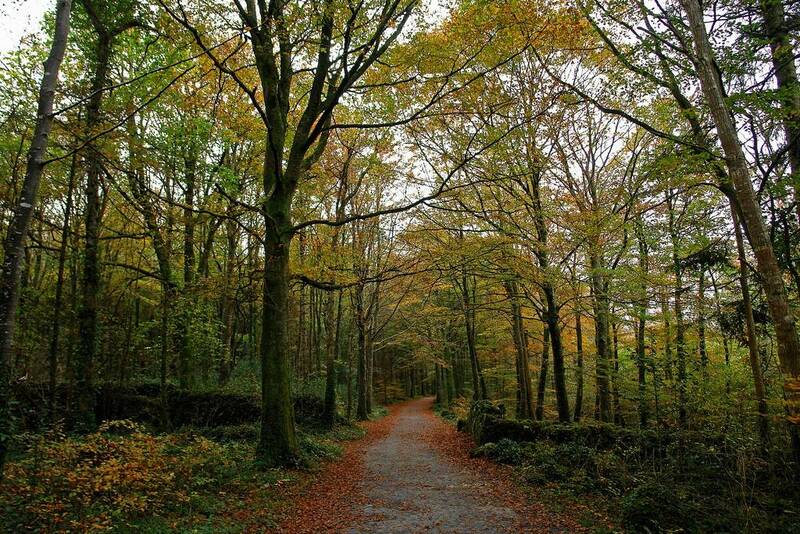 Photo of Coole Park by chrispd1975 via flickr. Now a national nature reserve, Coole Park was once owned by Lady Augusta Gregory, a dramatist who was friends with WB Yeats and other members of the Irish Literary Revival. She frequently invited writers and artists to visit her here, and as proofs you can visit the autograph tree engraved with the initials of Yeats, Edward Martyn, George Bernard Shaw, John Millington Synge, and Sean O’Casey. 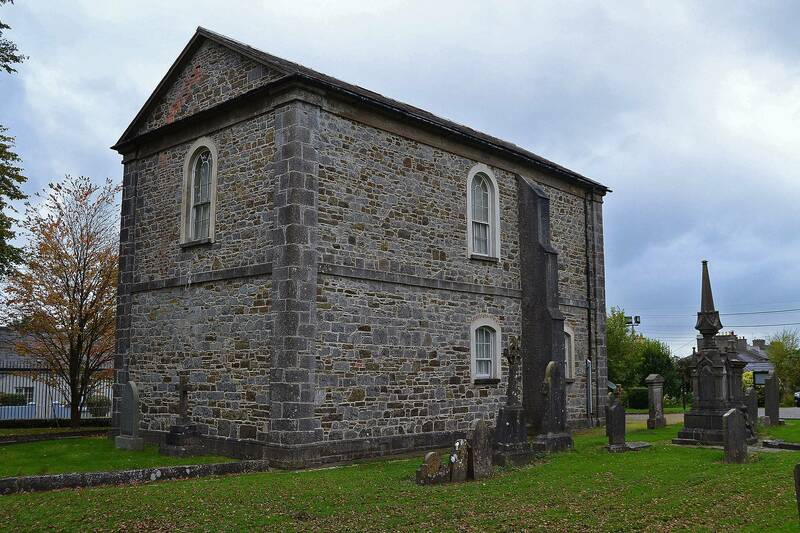 Yeats in particular wrote several poems based on Coole, and had a home only a few miles away. 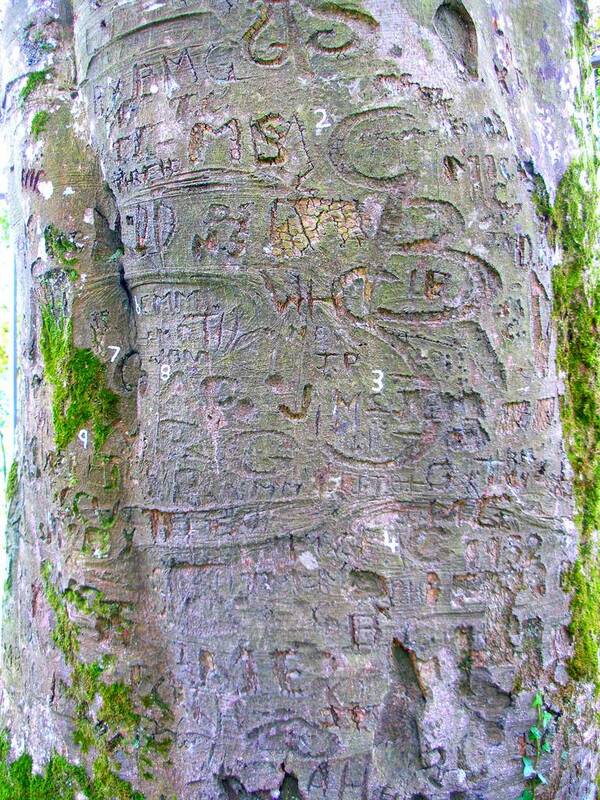 Photo of Coole Park autograph tree by IrishFireside via flickr. Really all of Sligo could be called Yeats country–he spent his childhood summers there–but if you really want to get to the heart of it, go to the island of Innisfree on Lough Gill, the basis for his homesick poem “The Lake Isle of Innisfree.” It’s a scruffy little island, but nestled in a gorgeous area. You’ll definitely understand why Yeats loved it here. Sorry, couldn’t resist. Limerick tends to get a bad rap in guide books because it’s not “scenic” or touristy. But that reputation belies the fact that it’s home to the must-visit O’Mahony’s. 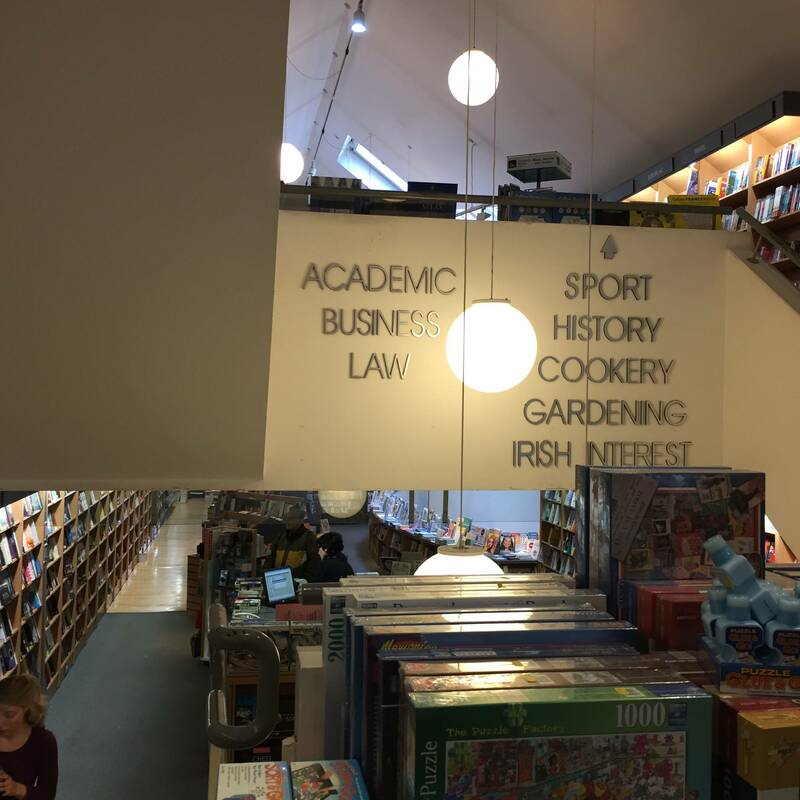 Basically, this is a mind-mindbogglingly large bookstore–one of the largest in Ireland, in fact, and an independent one to boot. If you can’t find a book here, you’re not going to find one anywhere. The reading accessories they have in stock are also pretty dope. Between floors four and five at O’Mahony’s Booksellers. Photo of Leamy’s School (now the Frank McCourt Museum) by young shanahan via flickr. Also! 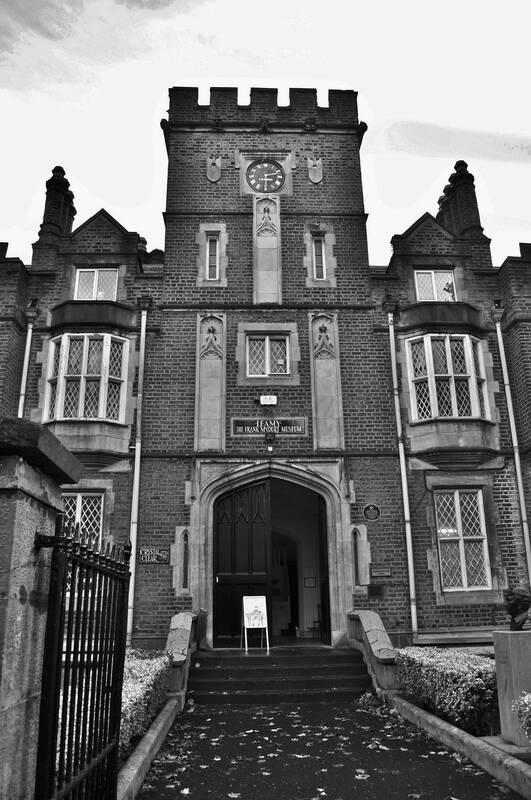 Limerick is where Angela’s Ashes author Frank McCourt grew up, and you can find a museum dedicated to his life and writings in his old primary school. Mystery bookstores are, in my opinion, always worth checking out. But No Alibis isn’t just your average mystery bookshop–like Shakespeare & Co. in early 20th century Paris, No Alibis is an icon that serves as the hub and gathering place of a community of mystery readers and writers. 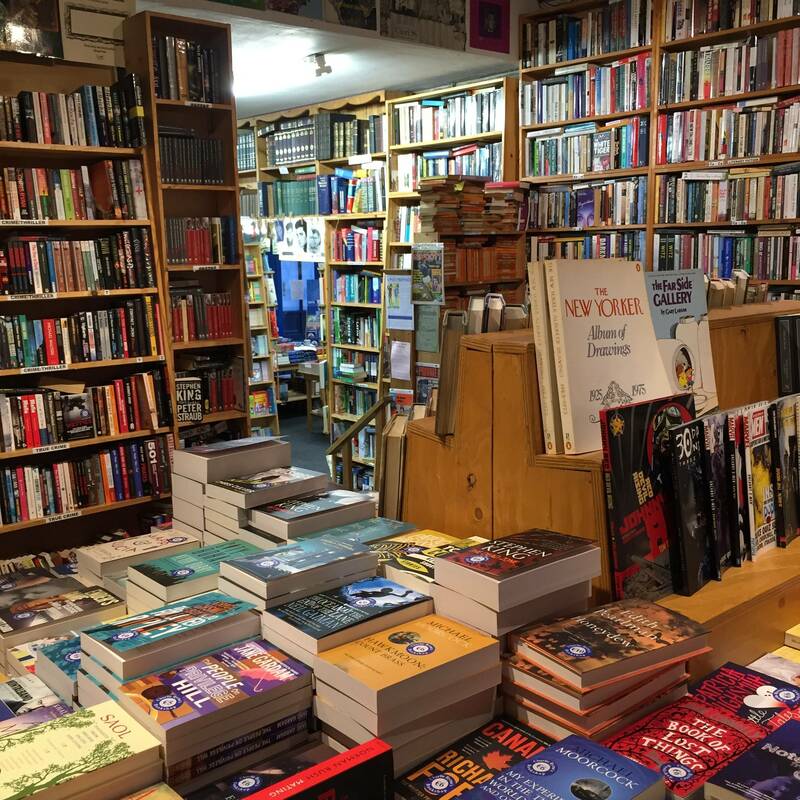 The bookstore regularly hosts speakings and signings by authors like Neil Gaiman, Ian Rankin, and Anthony Horowitz; but even more impressive, No Alibis and its owner, David Torrans, have made appearances in mystery novels like The Black Angel by John Connelly and Colin Bateman’s Mystery Man series. Torrans is a well-known book pusher whose recommendations are always spot-on. I can guarantee you’ll walk away from No Alibis with a pile of books you’ve always wanted, your whole life.